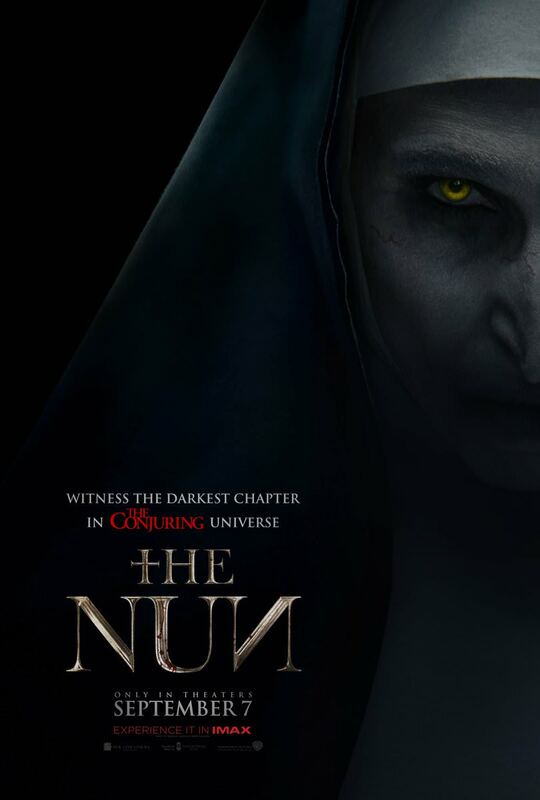 Taking a minor character from what has now become a “cinematic universe,” The Nun aims to do for nuns what It did for clowns. So yes, those women are creepy fuckers is the shorthand. Strangely though, this effort to shake more money from that tree in The Conjuring has a tone of its own, and one that is rather surprisingly winning in it old school adherence. With a production design closer to Hammer than Halloween – and with very deliberate references to everything from The Exorcist to The Legend of Hell House to Lugosi’s Dracula to Damien Omen II – Hardy’s film takes great pleasure in building a haunted house world and dragging its audience into it. And whilst all the jump scares don’t always play out, the overall effect is that of a horror movie that knows how it wants to pace itself and one that is more concerned with a sense of dread than simply with cheap scares. Bicher is the erstwhile Father Merrin who travels with novitiate Irene (Farmiga – sister of series star Vera in a fit of meta-casting – for continuity and giggles) to the most remote nunnery in all of Romania. It’s supposed to be 1952, but it could be at least two hundred years before, with horse and cart the only available transport and – literally – buckets of dry ice to spew over the nearby studio bound graveyard. They’re here to investigate the recent suicide of a nun – oh, and the fact that said abbey was built over a portal to hell itself. You know, the way these things happen. The Nun is hokey – but it’s assured hokey, made by a filmmaker that knows his genre onions and how to peel them. It’s also probably the only film in which the line “I’m a French Canadian” has ever been used to face down the power of pure evil. Does that French Canadian shtick work? Well, you’ll just have to go see. And when you do, you’ll find a decent little old-fashioned gothic horror movie to go with it.